Is the S&P 500 Carving Out a Major Market Top? This indicator is so valuable, I don’t want to keep it to myself. Unfortunately, I’m a bit in a pickle though. 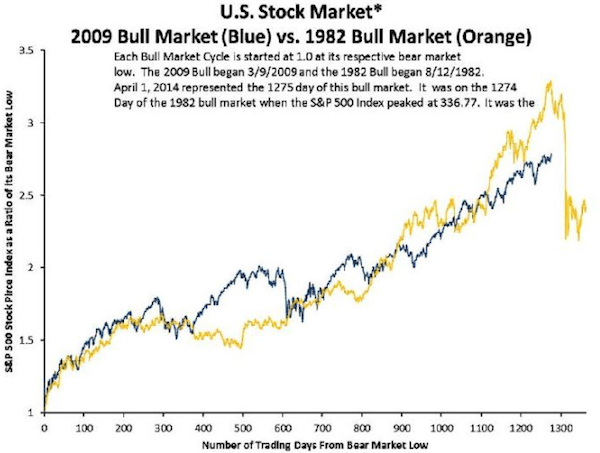 As the charts below will show, ‘secret sauce’ correctly telegraphed the 1987, 2000 and 2007 market crashes. Perhaps even more importantly, ‘secret sauce’ told investors to stay invested throughout this 6-year old bull market. 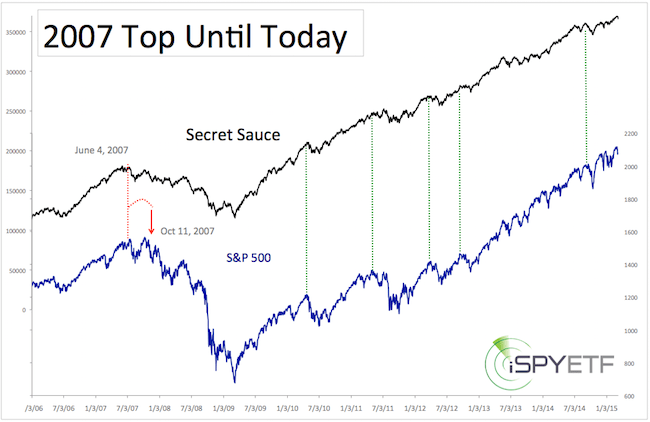 Although there’ve been corrections along the way, ‘secret sauce’ has consistently pointed to new (all-time) highs. You know something’s wrong if the S&P 500 is at new highs, but ‘secret sauce’ isn’t. That’s what happened prior to the 1987, 2000 and 2007 crashes. ‘Secret sauce’ failed to confirm the new S&P 500 highs, which was an early indication of internal deterioration. Like a ceiling fan that keeps going after it’s switched off, the market tends to keep going for a little while after liquidity and breadth peaks. ‘Secret sauce’ is a good reflection of when liquidity peaks and momentum slows before stocks roll over. The first chart plots the 1987 and 2000 top against the S&P 500 (NYSEArca: SPY). The vertical red lines show the ‘incubation period’ between peak liquidity/breadth and peak price. The second chart highlights the 2007 bearish divergence, which essentially marked the beginning of the end for stocks. It also captures the bullish green confirmations that kept pointing to continual new highs following the 2009 low. 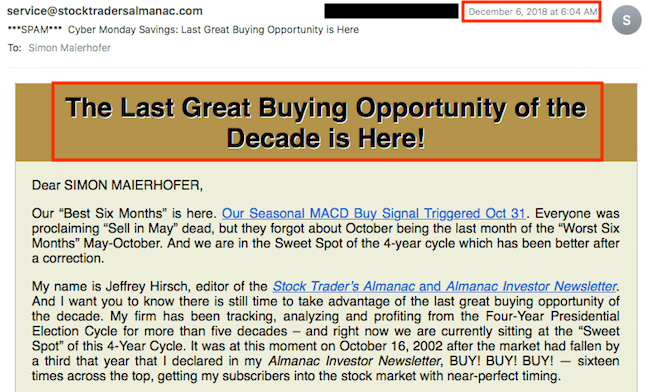 I stumbled upon ‘secret sauce’ in 2013, and first introduced it to subscribers in the December 1, 2013 Profit Radar Report. Ever since then we’ve known to expect higher prices. 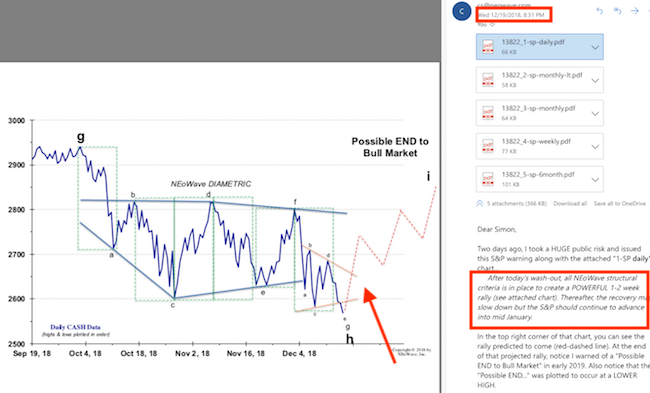 Obviously ‘secret sauce’ isn’t a short-term timing tool, but knowing whether a correction will morph into a full-fledged bear market or not has been incredibly helpful. Especially since the media and self-proclaimed market pros have been calling for a market crash for years. Imagine knowing when to simply ignore headlines as baseless fear-mongering. Is the recent pullback the beginning of the end? All the details about ‘secret sauce’ are available via the Profit Radar Report. 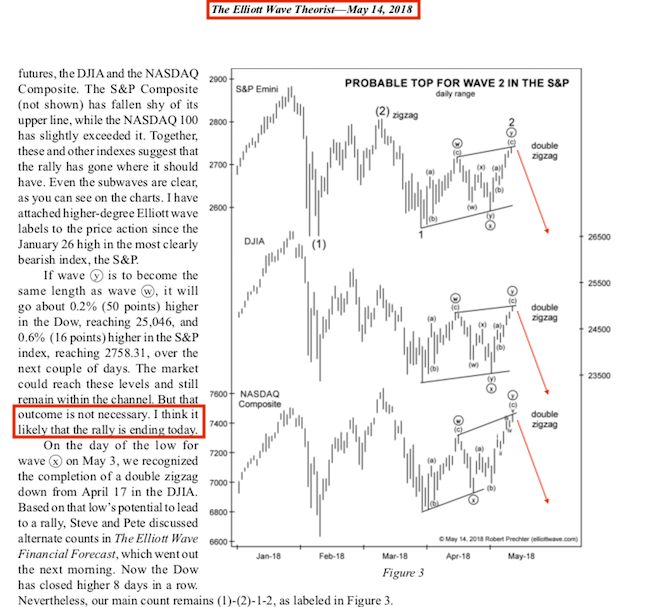 On May 20, we looked at an indicator that has the distinct reputation of signaling the 2000 and 2007 meltdowns (“A Look at the Risk Off Gauge That Correctly Signaled the 2000 and 2007 Tops“) . Since then, this indicator has delivered a surprising twist. We are talking about the XLY:XLP ratio. XLY represents the Consumer Discretionary Select Sector SPDR ETF. XLP represent the Consumer Staples Select Sector SPDR ETF. Consumer discretionary is an economically sensitive, high-octane sector. Consumer staples is an economically defensive sector. 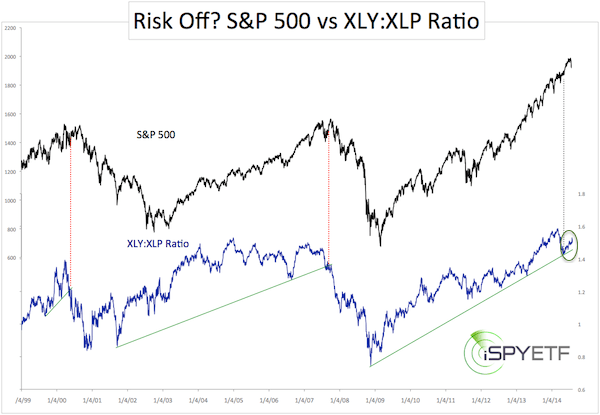 The XLY:XLP ratio reflects how much risk investors are willing to take. The chart below plots the S&P 500 against the XLY:XLP ratio. In late February, XLP started to outperform XLY (‘risk off’ mentality’). This led to a falling ratio. By May, the XLY:XLP ratio was on the verge of breaking below the trend line support. Such a breach of trend line support foreshadowed the 2000 and 2007 rallies. But then something curious happened. XLY recovered and so did the ratio. 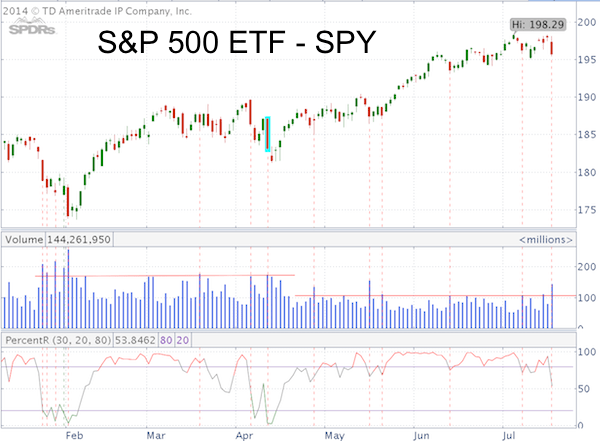 Defensive sectors tend to fair better during poor markets, but despite the most recent selloff, which knocked the S&P 500 (NYSEArca: SPY) from 1,990 to 1,910, investors actually preferred XLY over XLP. 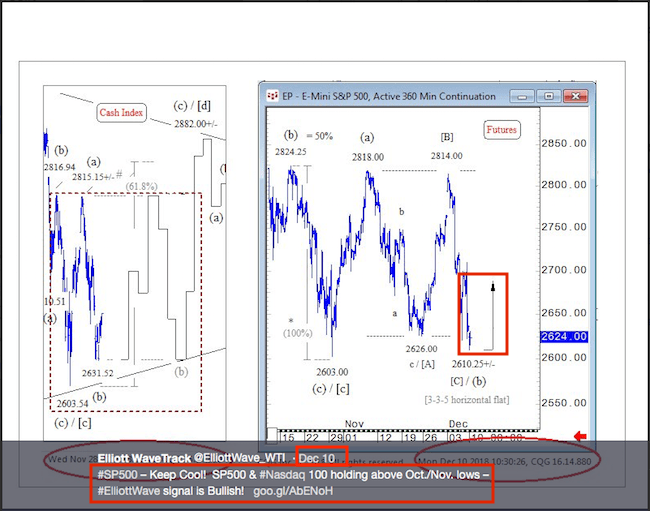 At the end of the day, a ‘market crash’ signal (like in 2000 and 2007) was averted. The XLY:XLP ratio is just one of many indicators used to analyze the market and assess the (much talked about) risk of a market crash. 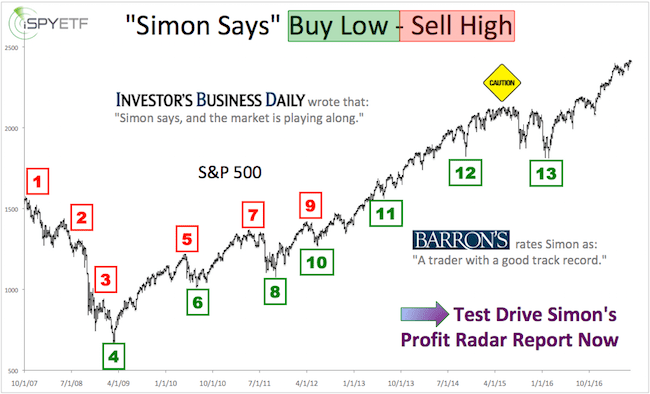 The Profit Radar Report just published an article on the most accurate ‘market crash vs correction’ indicator. This indicator correctly anticipated the 1987, 2000 and 2007 crash. At the same time, it exposed the 2010, 2011 and 2012 corrections as temporary blips. 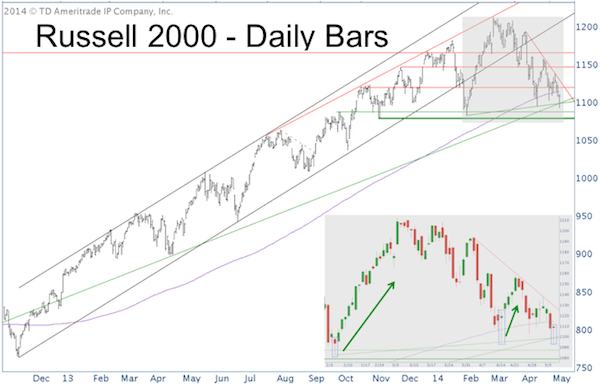 S&P 500 up, but Russell 2000 up More – Is this Role Reversal Significant? Here’s the definition of a bandwagon: “A particular activity or cause that has suddenly become fashionable or popular.” Here’s the latest bandwagon idea: Short the Russell and S&P 500, because the market is going to crash. Here’s the broken record story from last week: Small cap stocks are down hard, which allegedly means a market crash is straight ahead. True Fact: The Russell 2000 lost as much as 10% while the S&P 500 traded within striking distance of its all-time high. True Fact: The Russell 2000 closed below its 200-day SMA for the first time in 17 months. Myth: This foreshadows a market crash. A look at similar historical patterns, where the S&P 500 (NYSEArca: SPY) trades well below the Russell 2000, shows only a mild bearish bias. “Today, for the first time since November 21, 2012, the Russell 2000 closed below the 200-day SMA. Many investors follow the 200-day SMA. A close below it is generally considered a sell signal and/or bear market. The path of least resistance would be to jump on the sell signal bandwagon, but that’s premature in my humble opinion. The Russell support cluster at 1,100 – 1,080 seems more important than the 200-day SMA at 1,115. The R2K recovered most of its intraday losses today, which created a hammer candle As the chart insert shows, a similar hammer candle preceded the prior two bounces. It wouldn’t be prudent to chase the bounce. Why? – This bounce only needs to be enough to fool shorts. – Once the weak shorts are flushed out, the financial media may actually be right about a bigger correction (but by the time the shorts are flushed out, the media will probably have turned bullish). A watched pot doesn’t boil and a ‘watched’ market doesn’t crash. 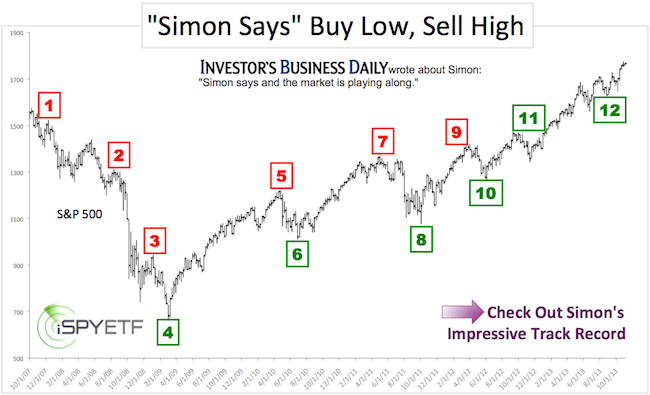 Are investors watching signs for an impending market crash? It seems like they are. In February, charts like this one published by The Atlantic under the headline “That Viral Chart Predicting Another 1929 Stock-Market Crash?” made their rounds. 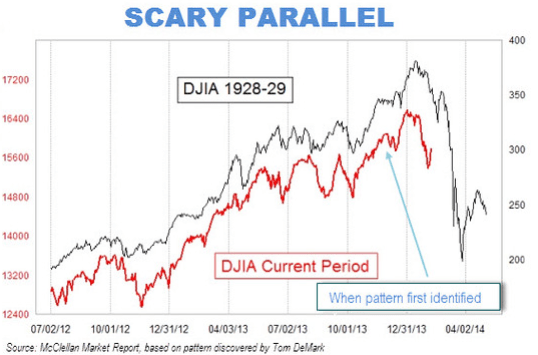 The chart compares the Dow Jones Industrial of the late 1920s with the Dow Jones of the early 2010s. Admittedly, articles like the ones mentioned above are anecdotal in nature, but they are published because that’s what people want to read right now (Barron’s just asked again: “Bubble or No Bubble”). Once every month the Profit Radar Report takes a detailed look at investor sentiment (this report is called the ‘Sentiment Picture’). The Sentiment Picture plots various sentiment gauges against the S&P 500 (SNP: ^GSPC) to illustrate how current extremes (if there are any) affected the S&P 500 in the past. The correction came in January/February and basically reset investor sentiment. 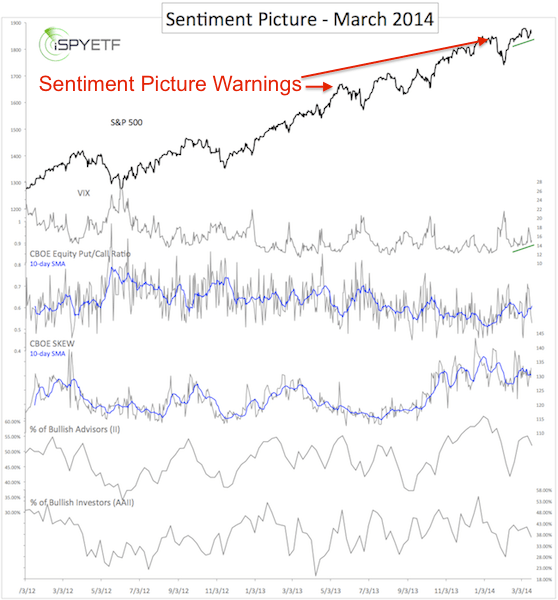 Although the S&P 500 (NYSEArca: SPY) is back near all-time highs, investor sentiment isn’t. 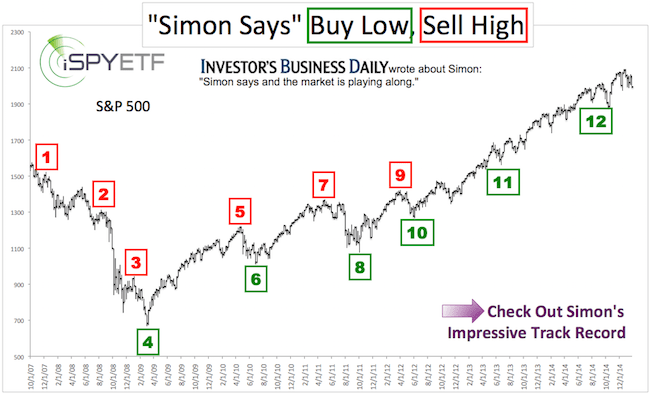 The chart below, courtesy of the March 20, 2014 Sentiment Picture, illustrates sentiment. There are no real extremes, which means there are enough potential buyers out there that could drive prices higher. The lack of sentiment extremes doesn’t mean stocks must move higher. In fact, seasonality is soon turning bearish and the S&P 500 is butting against key long-term resistance. The S&P 500 has peeled away from this resistance several times. Obviously if the S&P thinks this resistance important, so should we. 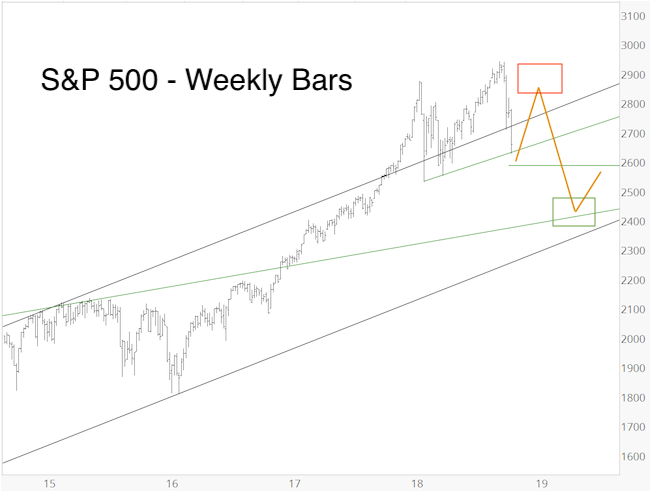 S&P 500 – Stuck Between Triple Top and Triple Bottom – What’s Next?